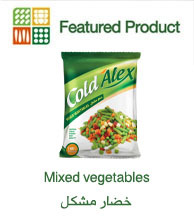 Every successful journey starts with a single step, for Cold Alex, it began with a clear vision of becoming one of the best manufacturers of a wealth of value added frozen vegetables & fruits. Our journey started in 1962 by a strong team of professional experts in the frozen fruits & vegetables processing industry. To build this vision, we choose the fertile soil of EGYPT. Year after year, Cold Alex's markets span across Canada, United States of America, Mexico, Europe, England, Australia and the Middle East. For that reason, we implemented an uncompromising method in quality assurance to guarantee that the best possible value reaches our customers. Our proximity to our customers enables us to react effectively to their varying needs. This is due to the personal relationships built by our sales force. As one of the leading producers of frozen fruit and vegetables, our never ending pursuit of the best status keeps us motivated to always offer more to our customer. From the largest accounts to our local neighborhood shoppers, we pride ourselves in understanding our customers' needs. For this reason, we select only the most consistent high quality products from the richest lands the River Nile has to offer. All products received must meet the highest quality inspection standards from the time it leaves the plant of origin through to our customer. Our expert trained staff maintains the firmest quality control standards of freshness and cleanliness to insure our customers' utmost satisfaction with every bag of vegetables. Be recognized as one of the best manufacturer of IQF frozen foods in the market depending on our history and customers' satisfaction. 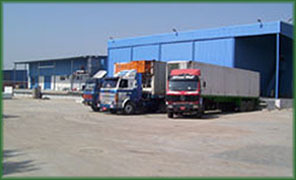 As one of the leading processors of frozen vegetables & fruits in the flourishing Egyptian market, we are committed to providing high quality and competitive products through our experienced team & the latest technology in the field of manufacturing frozen food. 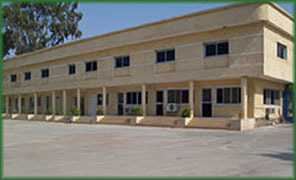 We do believe that our mission will be accomplished by our authentic management system, our uncompromising processing methods, successful partnership programmes implementation of ISO and HACCP programmes .In order to live up to our high standards of performance, we consider every day to be a new challenge.